After a successful attempt at photographing an unplugged light bulb, I decided that my model was destined for bigger and better things. 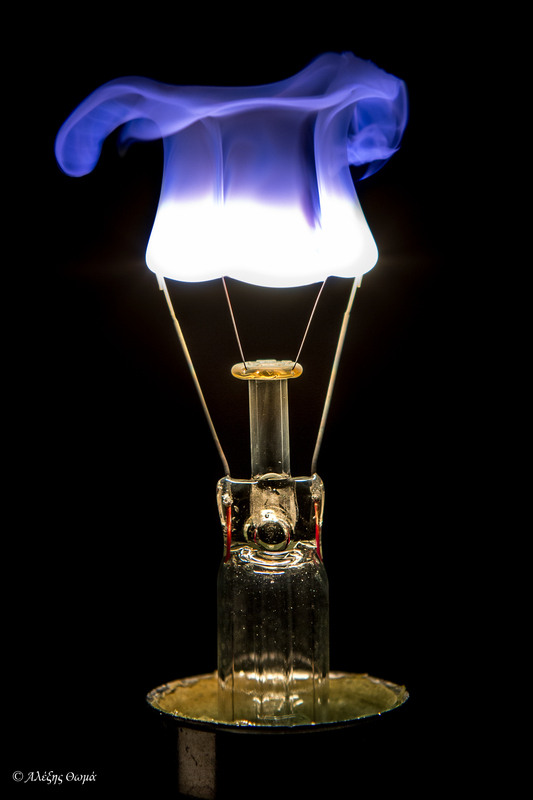 In this new photo-shoot (a journey of no return), I placed the bulb in a zip lock bag, then used a hammer to break the outer part, crossing my fingers that the filament would remain intact. I then hooked up the bulb onto the electrical rig that I had built for my previous experiment, secured my camera on the tripod, and dialed in the continuous shooting mode. With one hand on the electrical switch and the other on my remote cable release, I turned on the power and fired 5-6 continuous shots. The result is the picture below – the final grande portrait and a testament of my subject’s short-lived modeling career. Shot with my Canon 60D and Canon 24-70 F2.8L lens, manual settings at ISO 200, F5.6, at 1/1000 sec.